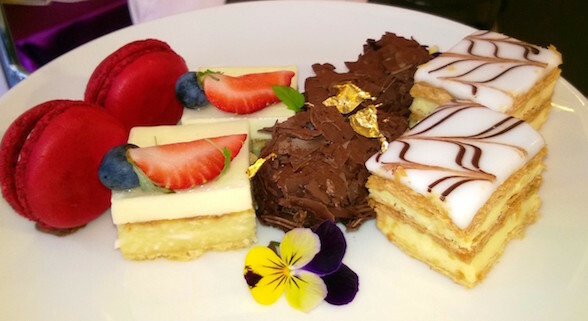 Stamford Plaza Melbourne invites you to step behind the sheer golden curtains and enter a world of the utmost indulgence with their brand new High Tea experience. As we entered the dedicated high tea room on the first floor of Stamford Plaza Melbourne, we were met with crisp white linen table cloths, beautiful china, an exciting High Tea menu and the inspired addition of live classical music, courtesy of talented violist Rasika Hewage. 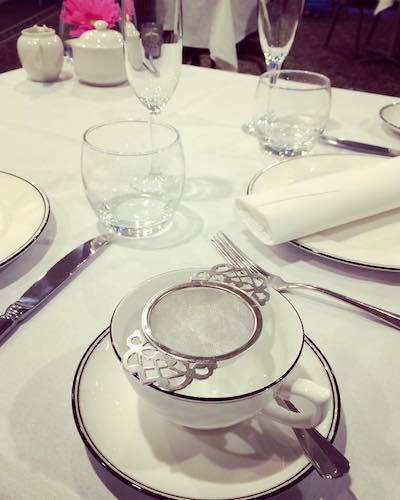 Immediately, the scene was set for an exquisite culinary journey which respected the origins of classic high tea, whilst also paying tribute to the history of the Stamford with a very special signature dish. My dining guest and I were greeted by a friendly hostess who swiftly showed us to our flawlessly set table near the window on what was a sunny day in Melbourne. Once seated, we were offered a glass of Deutz Marlborough Cuvée Brut, which we were informed was the result of a collaboration between historic Champagne house, Deutz, and Montana Wines of New Zealand. This impressive sparkling is an elegant choice as it was rich and flavourful yet retained a crisp, clean finish. Our hostess noted that the sparkling would refresh the palate between the different layers of the high tea, so we decided to say 'cheers' and then selected our preferred tea. The English Breakfast would have to be the traditional choice with its robust flavours, but we chose the lighter option of Earl Grey, a fragrant blend of Ceylon's finest black tea with hints of bergamot. Our hostess soon returned with individual teapots, filled with loose leaf tea. As the tea brewed, our classic high tea tower was prepared and we enjoyed the live music which ranged from traditional standards to soft classical takes on contemporary favourites. It wasn't too long before our impressive tower was placed on our table. It was clear that a lot of thought had gone into the selection and presentation of each layer. While some guests opted to enjoy the middle section of tarts and pastries first, we began with the four finger sandwiches. First was the Traditional cucumber sandwich with a soft lemon-herb butter. 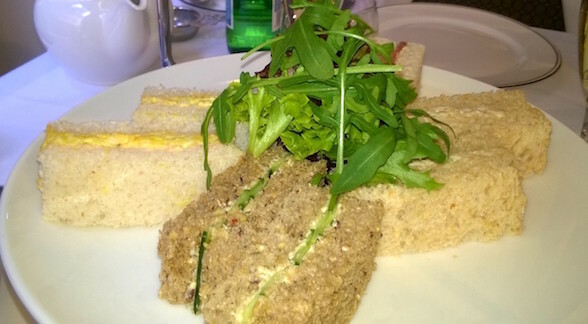 It was a great introduction to the high tea with refreshing wafer thin slices of cucumber and a slight hint of citrus. We then moved to the English ribbon chicken sandwich, with celery, Granny Smith apples and walnuts. This unique take on the classic Waldorf salad quickly become one of our favourites; it was rich but still delicate and each ingredient could be individually savoured - from the tender chicken, to the tang of the crisp apples and celery and the texture of the walnuts. Another highlight was the Classic curried egg sandwich with green onions. It was a sumptuous marriage of soft boiled eggs, sweet pickle and just the slightest hint of aromatic spices. The final sandwich was the classic Cold-smoked Tasman salmon sandwich, with baby watercress & dill cream cheese. Before moving on to the next layer, we decided to enjoy our sparkling. At this point in the afternoon, the conversation level from other guests had peaked but the live classical music gently drowned out the chatter. I was at this point fully immersed in the high tea experience and my dining guest noted you could easily forget your worries and concerns in this relaxing atmosphere. Our first choice of the second layer was the signature Stamford Curry Puffs. This classic dish consisted of the flakiest puff pastry wrapped around a filling of potatoes, chicken and mild curry. Our hostess noted this was an old secret recipe, passed on from generation to generation and it is easy to see why it is a clear favourite of Stamford's guests all around the world. It was packed with flavour and the final note was a surprising hit of chilli. 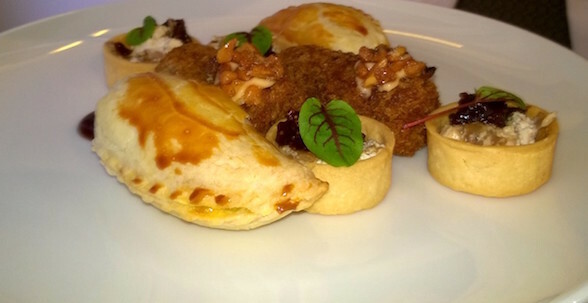 We then sampled the tartlets of ash goats cheese, sweet figs, '5 year' aged balsamic vinegar with caramelised onion. The texture of the tartlet was buttery and crisp, while the filling was sweet, tangy and creamy - all at once. Best of all, each guest is offered two portions of this miniature marvel! Finally, we moved onto the 'hero' of the tower - the Croquette of Otway Pork belly, slow cooked with candied macadamia nuts. Again it was perfectly executed with a crisp exterior and rich, aromatic filling that lingered long after it was enjoyed - it remained a great textural element of the tower. It was now time to savour the rest of sparkling and take a little rest. Our hostess returned and asked if we would like to change our tea selection before we moved on to the sweets. We decided to try the Paris blend, with vanilla, fruits and lemony bergamot. Our hostess agreed it was a great choice as it had a caramel finish which would complement the selection of sweets. I noted that this final layer of the tower featured three of my all time favourite desserts and I was excited to try the Red velvet macaron with a cream cheese frosting. With the first bite, I knew this was an authentic macaron; the crisp shell gave way to a chewy almond meal interior and the cheese frosting was an absolute delight. We then sampled the Mille-feuille of vanilla and crème patisserie - again, another triumph with a deliciously creamy filling and layers upon layers of puff pastry. The Dark chocolate éclair followed and my dining guest and I were again suitably impressed. The choux pastry was filled with a chocolate flavoured crème patisserie, then covered in a rich dark chocolate ganache and for a luxurious finish, coated in chocolate shavings and gold dust. Chocoholics will love this dish! Finally, Layered lime & coconut pave concluded the high tea; this dish was highlighted with classic flavours and refreshing fruits and is sure to be a winner with sweet tooths. Satisfied, we decided to take another mini-break, and finish our tea. 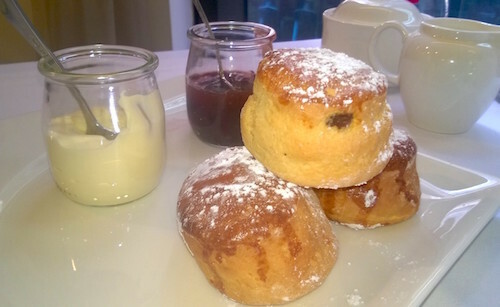 We then concluded our experience with the finale of House-baked plain and raisin scones served with Devonshire cream and homemade strawberry preserve (another secret recipe of the Head Chef). The warm scones were delightfully fresh, fluffy and had a buttery finish. I enjoyed the raisin scones, which paired perfectly with the tangy strawberry preserve. The only question was to have the scones Cornwall style (jam first, then cream) or Devon style (cream first, then jam)! 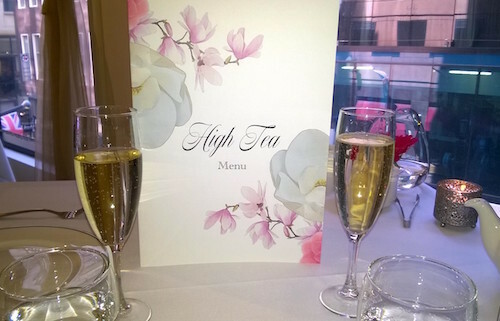 High Tea at Stamford Plaza Melbourne was a thoroughly enjoyable experience. What stood out for me was the ability to 'customise' your high tea with an assortment of globally sourced teas or coffee if you prefer. There are also the options of Mumm Cordon Rouge Brut, Mumm Rose NV and Perrier Mineral Water at an additional cost. The service was impeccable throughout our sitting and the quality of the dishes and the presentation was exceptional. High Tea at Stamford Plaza Melbourne is a great dining option and makes for a memorable afternoon with decadent food, classical live music and Stamford's five-star hospitality. 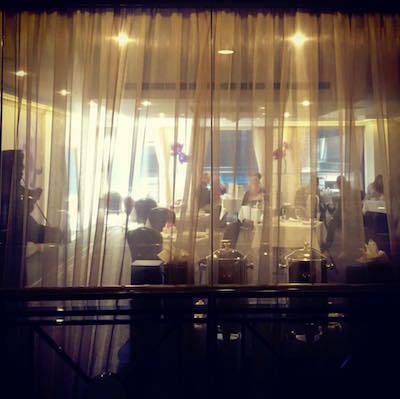 It is ideal for any type of celebration or get-together with family and friends. 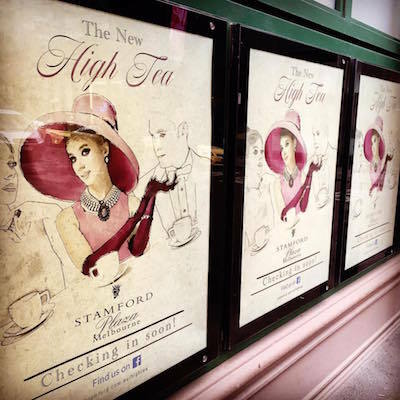 "Our intention is to bring High Tea back to its originality, with a more traditional menu, extensive tea selection, service excellence and intimate ambience featuring classical live music", says Dean Easton, Director of Sales & Marketing, Stamford Plaza Melbourne. 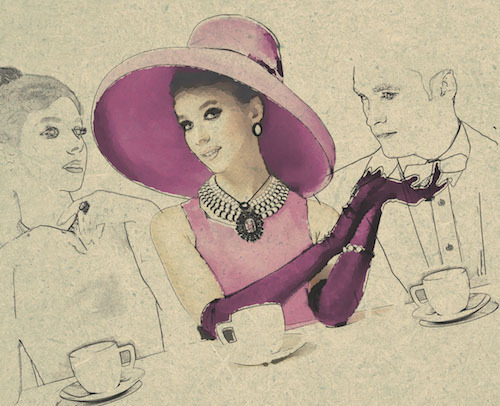 High Tea at Stamford Plaza Melbourne is served every Saturday and Sunday from 2 pm to 5 pm. The cost per adult is $65 and includes a glass of sparkling (upgrade to French champagne available) and reservations essential. 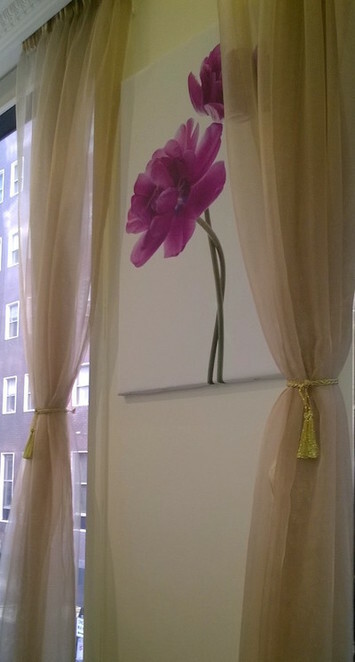 Stamford Plaza Melbourne is a 5-star all suite hotel located at the "Paris end" of Little Collins Street in the heart of Melbourne's CBD. For more information visit www.stamford.com.au/spm. *Vanessa was invited as a guest. Sounds and looks delicious. Very tempting.